Anny’s Manufacturing Jewellers – A Family Business Wins! What a month March was for Anny’s Manufacturing Jewellers. First we were notified that we had WON the Manufacturing category of the Frankston Business Awards, secondly the business celebrated 29 years of service to the Mornington Peninsula. The year began with a major highlight when we officially launched our modern website, allowing our customers to select diamonds of any size or grade and then designing on the same website their own ring. Harry Ozkoch the owner of Anny’s has his own personal satisfaction this year with celebrating 40 years of being a Master Jeweller. Harry has lived and breathed jewellery since he was 16. 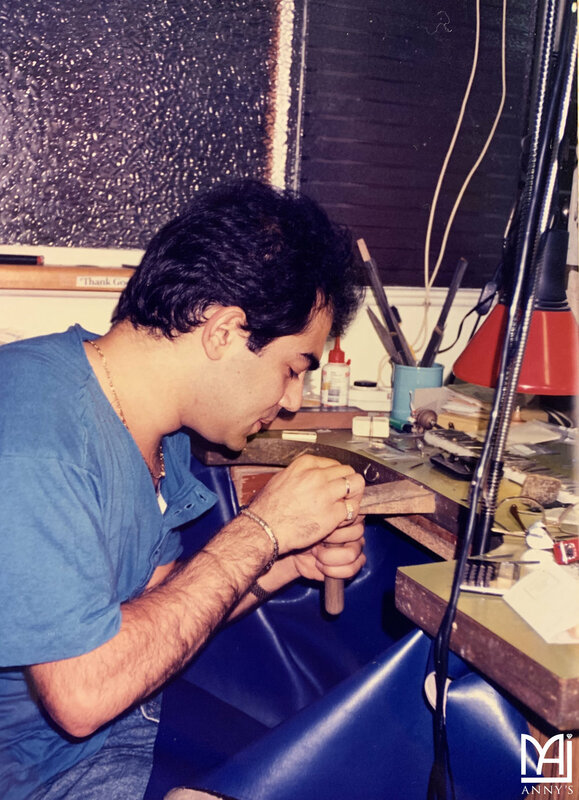 From his humble beginnings as a diamond setter, he still holds on to his values of treating all his clients as his own family and assists his clients with all their jewellery needs. This view to serve his clients as family is enforced to all the team at Anny’s. Winning this award is just another demonstration of how committed Anny’s is to serve all the jewellery needs asked of them. Anny’s not only creates brilliant custom-made jewellery but also sells premade jewellery and stocks a range of brands including Thomas Sabo, Dora Wedding Bands, Peter W Beck, Nikki Lissoni, Ikecho Pearls and Classique Swiss Watches. We invite all to see for themselves why Anny’s Manufacturing Jewellers have built such a strong name for ourselves on the Peninsula and why we are a worthy winner in the 2018 Greater Frankston Business Awards.